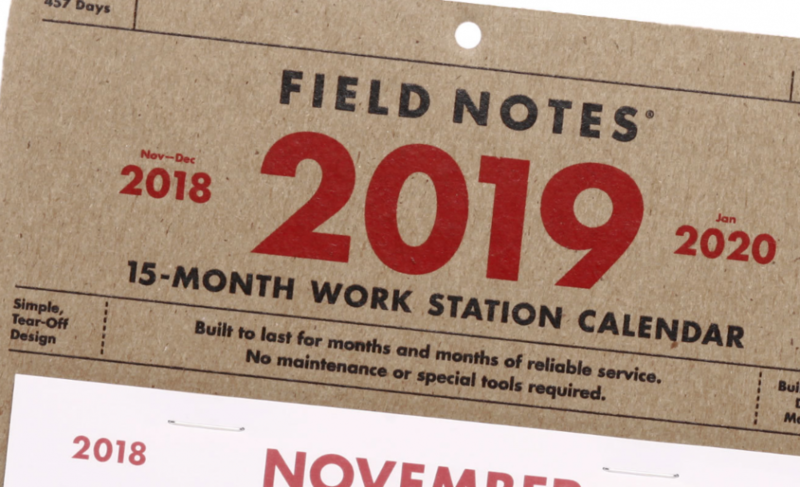 Field Notes beefy, chipboard-backed, tear-off 15-Month Workstation Calendar has been revised and resized for 2019. 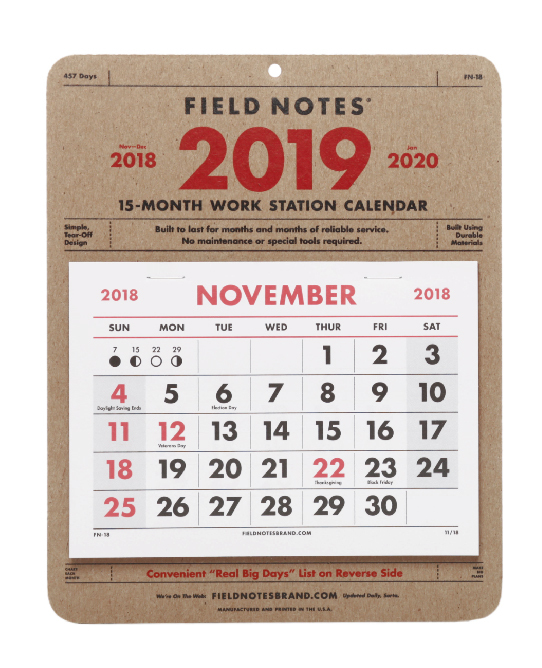 It measures 6" × 7½" and will fit perfectly next to the bookshelf, or in the garage hanging above the air compressor, or in an office cubicle, or by that screen door at the summer house that makes such a racket when it slams shut in the breeze. 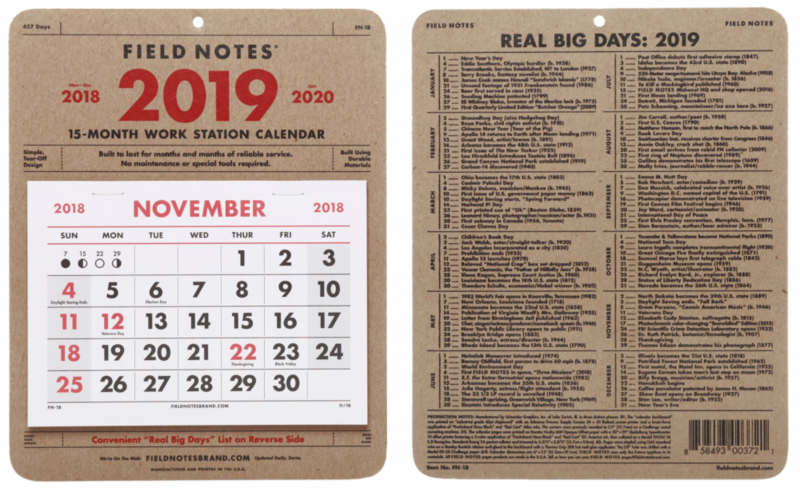 The back of the calendar includes a large, sort-of-comprehensive, list of “Real Big Days” during the year.